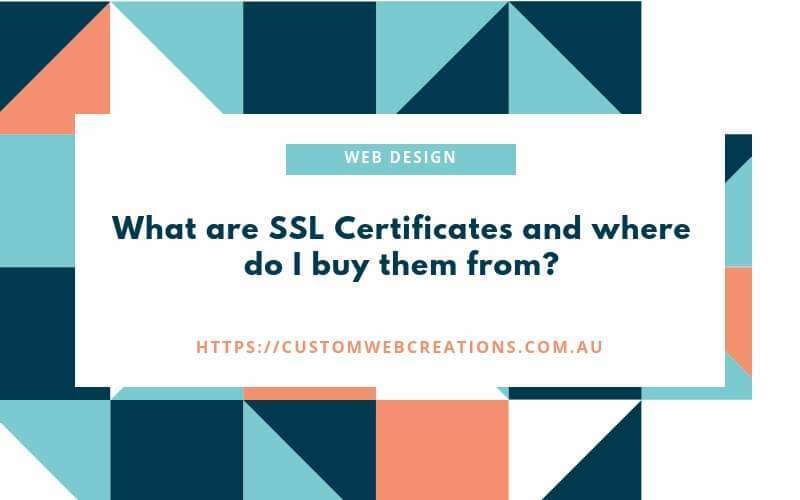 15 Mar: What are SSL Certificates and where do I buy them from? We offer quality and affordable web designer, SEO, content and digital marketing, eCommerce and online stores, business branding(business card, letterhead, and logo design), domains and hosting and general website upgrades and maintenance to these areas and Australia. Timothy Allsworth is a specialist web designer, content marketer, and search engine optimization expert here at Custom Web Creations Web Design Brisbane. He has over 5 years of real-world experience in the field and loves helping people and their businesses to succeed in an online world through his tried and proven techniques. Very happy with our website that Tim has done for us. He has been responsive and effective at catering for our needs. Very pleased with the final product. Would highly recommend. Great service, great communication and listens to what your business needs. Knows the demands and expectations of what a website should achieve for a client. Thanks for the outstanding commitment. Tim did a great job on the project. Very professional.He delivered everything we wanted in the design. Tim helped create a website for my business and I highly recommend his services. The website is a fabulous representation of my business, Tim was always available to answer any queries I had, along with offering many helpful tips.Thank you Tim. Tim has done a fantastic job with creating my site, couldn’t be happier and was always there to answer my many questions! Highly recommend!!! Excellent find when I came upon the URL for Custom Web Creations is all I am going to say. I had a blog designed for me once before but it had no WOW FACTOR! Timothy will work diligently to meet your design desires and I can tell you he works with me daily on any questions I have. My website is colorful, crisp looking, and the pictures slide right next to the detail box. Is that cool or what?Customer Service and WOW WEBSITE for my RODAN AND FIELDS BUSINESS is a MUST. Love, love, love, love it. Tim will take your pain away when you need a website, he takes all the hassle and time that you would spend on getting a website up and running. Tim also has great follow up service. Highly recommended. I have just had my website re-designed by Timothy and he has done an amazing job on it. I would highly recommend Timothy to anyone wanting a new website or to re-design an existing site. Timothy kept me informed all the way through the process and his professionalism was outstanding. Thank you Timothy. From Christine Cowin- Reflective Life coach. Tim thinks creatively and effectively communicates his ideas. Does an excellent job and offers the most competitive rates in town. He has my highest endorsement. Blogs are a great way to write about your passions, they engage your viewers and also help drive customers to your website when they search for your products or services on search engines. Got something to sell? Join one of the biggest marketing communities with your own e-commerce website. Great for selling shoes, makeup and cosmetics, digital images and videos, ebooks, car parts and accessories, warehouses and much more online. Your business needs a website, research shows a website will boost your business sales, increase potential leads and get your business name out there. Great for restaurants, trades businesses, industrial, gym and fitness, hotels, motels, mechanics and just about any business type in the world. Portfolios, online resumes, photographers, artists, musicians, a place for yourself, to show what you can do or who you are. Why are business reviews important? What are SSL Certificates and where do I buy them from? Custom Web Creations Web Design Brisbane is a specialist web designer and business marketing company located on the north side of Brisbane in Queensland. We have over 5 years of experience helping businesses create and maintain an online presence and help them to expand their businesses online. We create stunning web design, business branding, and content marketing to help you, our valued customer succeed. (C) Copyright 2019 and beyond. Custom Web Creations Web design Brisbane. Designed by a web designer from the other side. Ask us about our payment plans. Get tons of free information on web design, social media, content marketing and much more!